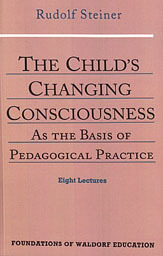 To interpret the title as noting the change in consciousness over time that all children undergo would be correct, but that covers only half its meaning. Steiner clearly stresses the importance of noting the change of consciousness in an individual child at any age. Thus, not only change that occurs over time in all children, but the change that also occurs in an individual child must become the basis of pedagogical practice. True teachers notice both kinds of change: the temporal change in all children as they age and the individualistic change in a single child, and they learn to react to both these types of change. Douglas Sloane, in his Foreword, advises that educators should avoid premature exposure of young children to analytical thinking, stating that such an educational strategy could adversely affect the child's educational growth and physical health in later life, that it is much better to provide models for children to imitate. [page xiv, Foreword ] Positively, it means that the educator's primary task for the pre-school child is to provide an environment and people worthy of imitation by, and interaction with, the child. Negatively, it means that every attempt to teach young children analytical, conceptual thinking — the widespread efforts to teach reading, calculating, and computer skills at an ever earlier age — is premature, and a destructive intrusion that threatens the full development of the tacit knowing so necessary for truly powerful, creative, and self-confident thinking in later life. Why premature? Can we not sprout plants during winter in a greenhouse so they will grow faster when moved outdoors later? Yes, but children are not plants, but human beings: eternal spirits newly arrived in a human body, who each have an individual agenda which will only reveal itself during post-school years of maturity. If we as educators force-feed children material that some pedagogical pundit deems appropriate, we risk creating stunted adults with unfulfilled lives. [page xiv, Foreword ] Although the dominant tendency in modern education is to continue to "hot house" young children to acquire adult reading and calculating skills, some important educators, like David Elkind, are beginning to point out, as Waldorf schools have always done, how destructive this is to the child's eventual educational growth and even physical health. Waldorf schools do not promote anthroposophy, but rather the principles of anthroposophy help to shape the Waldorf schools to ensure the prospering of the children they serve. Anthroposophy uses its own principles to deal with the concrete reality found within school children, but does not disparage any tenets of science or religion, considering them as good and useful. Instead it expands upon areas where such principles do not go far enough in creating healthy and creative adults. [page 8] Anthroposophy does not proceed, as so many of its enemies do, by shamefully denigrating everything that does not agree with its own principles. Anthroposophy is more than prepared to recognize and acknowledge what is good, wherever it is found. Scientific achievements have made the world better in many ways, but its method of dealing with only material aspects of the world has caused it to neglect the soul and spirit aspects of human beings, especially in the education of children. [page 8] Anthroposophy points to the importance of the scientific achievements of the last three to four centuries and, above all, to those of the nineteenth century, all of which it fully recognizes. At the same time, however, anthroposophy also has the task of observing how these great scientific successes affect the human soul. It would be foolish to think that the ideas of a relatively few scientifically trained experts have little consequence for society as a whole; for even people who know little or nothing about science are influenced by contemporary science in their soul mood and in their life's orientation. Even people of a strictly orthodox religious faith, born of tradition and habit, nevertheless owe their world orientation to the results of orthodox science. The attitude of modern people is colored increasingly by the scientific view with all its tremendous achievements, which cannot be praised highly enough. Where does this leave the human soul? It cannot be weighed, viewed under a microscope, seen in an MRI, or given a chemical formula, in other words, the human soul eludes all of our modern science and medical schemes. That is why pedagogical experts schooled in modern science can use principles which do harm to the soul and spirit of the school children they imagine to be their subjects in a test tube environment. [page 8] Yet the constitution of the human soul has been strangely affected by modern science. Having revealed more and more of outer nature, science has, at the same time, alienated human beings from themselves. What happens when the human being is observed from a scientific perspective? Our attention is drawn first to what has already been discovered very thoroughly in the inert, lifeless world. Then the human being is analyzed according to physiological and chemical components and what was established in the laboratories is then applied to the living human being. Steiner cites the incompleteness of the basic theory of the formation of our solar system according to modern science, the Kant-Laplace theory of a spinning gas which eventually coalesced into the separate planets we know today. The only problem is the lack of explanation of how the gas began spinning in the first place, a defect that is completely ignored. This is only one example of defects in modern scientific explanations which also pervade our astronomical and geological calculations, and are also ignored. In the educating of our children, we cannot afford to accept culturally acknowledged half-truths and ignore reality. [page 12] And so, many elements of an unrealistic soul attitude can be detected where science appears to be most correct, where its findings cannot be contested. Consequently these elements of error easily creep into education. For those who teach are inevitably a product of their own time, and this is as it should be. When they come across such geological calculations or astronomical analogies, everything seems to fit together very nicely. Sometimes one cannot help but feel amazed at the incredible ingenuity of scientific interpretations that, despite their apparent power of conviction, nevertheless, can lead us away from reality. However, as educators we must never deviate from actual reality. In teaching, we face reality all the time, and this must spur us on to greater knowledge of human nature as it really is. In a certain sense this failure to penetrate human nature has already crept into modern-day educational thinking and practice. The other day, I caught a reference on CSPAN to parents working as the heads of high-tech businesses of Silicon Valley who insist on sending their children to a Waldorf school where they are only allowed to use paper and pencils in the classroom. Seems the smarter you are, the more you wish for your children to have an integrated body and soul and a healthy existence. Steiner explains some of the illnesses in later life that can stem from careless schooling. Take this example of the connection between excessive rote memorization at an early age and diabetes or rheumatism at a later age. [page 20] Let us take the example of someone who develops diabetes or rheumatism at a certain age. When trying to find a remedy for such an illness, usually only the present conditions are considered; this, in itself, is quite justified. It is certainly proper to make every effort to heal a sickness whenever it occurs. But if one surveys the whole life of the patient, one may discover that many times diabetes is due to a memory that was overtaxed or developed in the wrong way between the change of teeth and puberty. Health during later years is largely conditioned by the way a person's soul life was developed during childhood. When we naturally remember something, our soul fully digests it and no traces of it remains. But in forced rote memorization, the child is beset with remembering for the sake of remembering and its soul resists digesting the material, before, during, and after the forced memorization. We could say it leaves a bad taste in the child's mouth. That's a curious metaphor, but it seems apt for what Steiner calls "undigested vestiges". [page 21] For example, if undigested vestiges of memory remain in the soul of a child between seven and fourteen, they will be released approximately between the ages of thirty-five and forty-five as physical residues, which can then lead to rheumatism or diabetes. No wonder Steiner says that Waldorf teachers should have medical knowledge at their disposal. [page 21] It is not right for them to leave everything concerning the child's health to the school doctor, who usually doesn't even know the children. If any profession in our time requires a wider background, education needs it most of all. In Waldorf schools, one can find today that the school doctor is also a teacher who holds classes when not doing doctoring. In the regular teachers conferences of the school, any medical related situations can be brought up to the doctor, and all of the teachers in the school can learn from one teacher's health-related encounter in a classroom. What is it that makes anthroposophical-based teaching different from other methods? [page 21] Anthroposophy begins with an entirely different attitude. It does not simply want to correct old ideas, but begins with a true picture and knowledge of the human being, because, in keeping with human progress, these things have become necessary today. No one would claim that newly born baby is the same as a gestating fetus, would they? The differences are readily apparent. Most obviously, the fetus requires its mother's body to supply it with oxygenated blood and with processed nutrition, whereas a newly born baby must breathe to create its own oxygenated blood and must ingest food and digest it into processed nutrition on its own. This is a dramatic change in a baby's life, is it not? There are several other less dramatic, but equally important changes which will occur later in the child's life. When the baby teeth fall out and new teeth appear, the child changes dramatically, having available for the first time teeth which were created, not inside its mother's body, but inside its own body. The second dramatic change occurs when the child reaches puberty and becomes able to be sexually active and create a child out of or inside its own body. These are important changes in a child which a teacher encounters and must be able to respond appropriately to these three stages of growth: before teeth change, before puberty, and after puberty. There is no theoretical knowledge that can prepare a teacher to handle these challenges which can only be handled while facing children directly in a classroom. [page 24] It would surely not be proper for teachers to first acquire theoretical knowledge and then to think: What I have learned in theory I will now apply in my teaching in one way or another. With this attitude they would only distance themselves from the child's true being. Teachers need to transform their knowledge of the human being into a kind of higher instinct whereby they can respond properly to whatever comes from each individual child. There is a distinct difference between anthroposophical knowledge of the full human being and the kind of knowledge found in science and medical teachings which deal only with the material aspects of the human being as a unique cocktail of liquids, chemicals, flesh, and bones. Such widely accepted knowledge "can lead to a routine approach to education at best, but not to a firmly founded pedagogical sense and teaching practice." [page 24] [To avoid the routine approach,] one's knowledge of human nature must be capable of becoming pedagogical instinct the moment one has to deal with a child, so that in response to all that comes from the child one knows instantly and exactly what must be done in every single case. Steiner makes a comparison with eating and drinking, saying we do not usually follow theoretical directions. Such folly may have been rare in his lifetime a hundred years ago, but it has become increasingly common today to find people counting calories, and amounts of fats, carbohydrates, proteins, gluten, salt, and a miscellanea of other aspects of food determined to be bad by today's theories before they will allow themselves to eat or drink it. They seem to be doing to their own health what educators are doing to their own children in today's school systems by following theoretical directions laid down by well-meaning pedagogical pundits. [page 24, 25] We drink when thirsty and eat when hungry, according to the constitution of the human organism. Eating and drinking follow a certain rhythmical pattern for good reasons, but usually one eats and drinks when hungry or thirsty; life itself sees to that. We must strive to understand a "child in all its pulsing life." This cannot be achieved if a teacher starts by applying intellectual concepts to a child. Such concepts would be applied en masse to the entire classroom, and what each child needs individually would be ignored, leading to each child's life being sacrificed on the altar of pedagogical efficiency. [page 25] Knowledge of the human being, which forms the basis of a sound and practical way of teaching, must create in the teachers, every time they face a child, something like the relationship between hunger and eating. The teachers' response to a given pedagogical situation has to become as natural as satisfying a sensation of hunger by eating. This is only possible if knowledge of the human being has permeated flesh and blood as well as soul and spirit, so that you intuitively know what needs to be done every time you face a child. Only if your knowledge of human beings has such inner fullness that it can become instinctive can it lead to the proper kind of practical teaching. It will not happen on the basis of psychological experiments leading to theories about pupils' powers of memory, concentration, and so on. In that case, intellectual ideas are inserted between theory and practice. This presents an unreal situation that externalizes all educational methods and practice. The first thing to be aimed for is a living comprehension of the child in all its pulsing life. Children learn by walking, speaking, and thinking. The famous poet Jean Paul Richter recognized the importance of these activities in the young child's life by saying, "The human being learns more for the whole of life during the first three years than he does during his three years at university." (Page 25) Note he said nothing about reading or writing, because a child spends its time walking, speaking, and thinking during these first three years. [page 29] But in this context you can also see that the proper sequence of events can be safeguarded if children are encouraged to learn to walk first, that is, if one can possibly avoid having children learn to speak before they can walk. Speech has to be developed on the basis of the right kind of walking and of the free movement of the arms. Otherwise, children's speech will not be anchored in their whole being. Instead, they will only babble indistinctly. You may have come across some people whose speech sounded not unlike bleating. In such a case, not enough attention was paid to what I have just tried to characterize. After walking and speaking, the next stage for a child should be learning to think. Why should thinking come last? Steiner says, "it lies in the child's nature to learn to think only through speaking." He goes on to explains how this is so. [page 29] In its early stages, speaking is an imitation of the sounds that the child hears. As the sounds are perceived by the child in whom the characteristic relationship between the movements of the legs and arms is deeply rooted, it learns intuitively to make sense of the sounds that it imitates, though without linking any thought to what it has heard. At first, the child only links feelings to the sounds coming toward it. Thinking, which arises later, can develop only out of speech. Animals have larynxes, but cannot speak. They can roar, bark, grunt, moo, mew, and make various kinds of repetitive sounds, but they cannot do what a young human being can do easily, speak. Why can they not speak? (1) Animals are like human-made robots which can be designed to make noises and even seem to speak, but they cannot adapt their upper body to sounds and create meaningful sounds to fit a given situation. Only human beings can adapt their organism in this way. A two-year-old human, for example, can ask for some wah-wah when thirsty. [page 32] What happens in a human being through learning to speak is something I ask you to consider most seriously. This human faculty might best be understood in its essence by comparing it with animal development. If an animal could express what lives in its forming and shaping, emanating from its upper chest organs, it would have to say, My form conforms with what streams from my upper chest and mouth organs, and I do not allow anything to enter my being that would modify this form. So would the animal speak if it were able to express this relationship. The human being, on the other hand, would say, I adapt the upper organs of my chest and mouth to the world processes that work through language, and I adjust the structure of my innermost organization accordingly. [page 37, 38] Often we hear it said that someone has inherited a particular trait from either the father or the mother, whereas in reality it is simply the result of imitating a certain way of walking, or a characteristic gesture of hands, or a specific manner of speaking, from those close to the person in his or her early childhood. The child's total surrender to the influences of the environment is what is of pre-eminent importance during the first years and not heredity as such. Genes are physical body traits acquired from one's parents; whereas doyles are physical body states acquired from one's parents and environment(2). A child under five years of age continuously stores doyles as it matches the way a parent walks, gestures, and speaks. These are the influences of the environment to which Steiner attributes pre-eminent importance for a young child's development. He says, "The brain is no more than the ground into which the activities of thinking and speaking imprint what is received from the surrounding world. It is not a matter of heredity." [Page 39] Through language we take in from our surroundings what we make our own in the realm of the soul. The entire soul atmosphere of our surroundings permeates us through the medium of language. And we know that the child is one great sense organ; we know that inner processes are inaugurated through these soul impressions. What if the soul impressions are made by a father who is constantly angry? These will also be absorbed by the child. And, if the mother is cowered and rendered powerless by her choleric husband, where will a correction come except from educators outside the family? Lacking correction, the effect will be deleterious to the health and life-skills of the child. [page 39] If a child, for example, is frequently exposed to the outbursts of an over-choleric father who utters his words as if in constant anger, it will inwardly experience its father's entire soul background through the way he forms his words. And this has an effect not only on the child's soul, but, through the atmosphere of anger surrounding it, causes the activity of fine glandular secretions to increase as well. Eventually, the glands of such a child become accustomed to an enhanced activity of secretion, and this can affect the whole life of such a child. Unless these harmful influences are balanced through the right kind of education later on, a tendency will develop toward nervous anxieties in any angry atmosphere. Here you have an example of how a certain soul condition directly enters and affects the physical organization. Such a child who lands in a typical public school today will be called problematic, perhaps bordering on juvenile delinquency, and no one will deem the child's condition to be capable of amelioration, short of what was called reform school when I was a child in the 1940s. Today such erratic behavior is treated as an illness called attention-deficit-hyper-activity disorder (ADHD) and is usually treated with drugs. The key, the important thing to notice, is that, if the child lands in a Waldorf school, the teacher will recognize the excess choleric state and begin to make subtle corrections which will greatly improve the child's prospects for a full, healthy life in body, soul, and spirit. It occurred to me in a meeting of my book club the other night that not one of the dozen people there had a knowledge of the difference between soul and spirit. I know because someone asked what the difference was, and no one else offered an answer. This represents the kind of adults that state and parochial school (non-Waldorf schools) systems have been developing over the past seven decades, adults mostly oblivious of the distinctions of soul and spirit. Lacking that knowledge, they live in a kind of psychology based primarily on the body, ignoring the soul and spirit aspects of the human being. How did this approach to understanding the full human being come about? It began with the Eighth Ecumenical Council in Constantinople in 869 A. D.
[page 42] One must no longer speak today of the human spirit, since an Ecumenical Council abolished it, declaring that the human being does not consist of body, soul and spirit, but only of body and soul, the latter having certain spiritual properties. The trichotomy of the human being was dogmatically forbidden during the Middle Ages, and today, our contemporary "unbiased" science begins its psychology with the declaration that the human being consists of body and soul only. Blissfully unaware of how little "unbiased" its findings are, it is still adhering to medieval dogmatism. The most erudite university professors follow this ancient dogma without having the slightest notion of it. In order to arrive at an accurate picture of the human being, it is essential to recognize all three constituent parts: body, soul, and spirit. Unfortunately materialism understands little of matter. Why? Because it cannot see spirit working through matter, instead, it understands only matter working through matter! [page 42] But it does not know that everywhere matter is permeated with spirit. If one wants to describe materialism, one has to resort to a paradoxical definition. Materialism is the one view of the world that has no understanding of what matter is. If you have experienced meeting a person who later became influential in your life or experienced some significant event in your life, you may look back a long time later and be able to discern some pattern leading up to this meeting or that event. A man working on trains in the railyard developed some severe back pain and after a long period of recuperation he was given an inside job which he now loves. In time he may realize how the back problem led him to the new supervisory job, albeit through a painful series of steps. Steiner recognized that such meetings and events stem from a deep inner soul impulse. [page 48] If such an event is connected with someone else, the person concerned will think (provided one can extricate oneself from the turmoil of life and perceive the finer nuances of physical existence): This is not an illusion, or something I have dreamed up; but if, at a decisive moment in life, I have found another human being with whom I am more intimately connected than with other people, then I really have been seeking this person, whom I must have already known long before we met for the first time. In summary, Steiner explains in the passage below how important walking, talking, and thinking are in a child's life, and how much a teacher can learn by observing these activities. In a child, the most spiritual aspect of the human being, the I, becomes sense-perceptible in the way the child deals with walking, how it places its feet on the ground, bends its knees, and uses its fingers. The next spiritual aspect is the human's astral body and it shows up in the child's language. In thinking the human's etheric body is at work. And in sense perception the entire physical body is at work. [page 49] Here we see the work of what we have been calling in anthroposophy the I-being of the human individual. For us, this term does not imply anything abstract, it merely serves to pinpoint a specifically human feature. Similarly, through the medium of language, we see something emerge in the human being that is entirely different from the individual I. Therefore we say that in language the human astral body is working. This astral body can also be observed in the animal world, but there it does not work in an outward direction. In the animal it is connected more with the inner being, creating the animal's form. We also create our form, but we take away a small part of this formative element and use it to develop language. In speech the astral body is actively engaged. And in thinking, which has this universal quality and is also specifically different from the other two faculties, something is happening where we could say that the human etheric body is working. Only when we come to human sense perception do we find the entire physical body in collaboration. How do these develop as the child matures? The simple answer is: in the order of walking, talking, and thinking. [page 50] When looking at such a progression of development, we find that the human being's highest member, the I, is the first to emerge, followed by the astral body and etheric body. Furthermore, we can see how the soul and spiritual organization, working in the I, astral, and etheric bodies, is working on the physical body until the change of teeth. All three members are working in the physical body. Ever wonder why children's books have so many pictures in them? It's always been an unanswered question to me, probably because I progressed to reading books with no pictures in them at an early age of eight or nine. Steiner illuminates the issue: the child is an imitator until teeth change, mostly ignoring words, directions, and attitudes of others while imitating all the activities which occur around it. After teeth change, a dramatic change takes place as the child's thinking begins to unite with everything pictorial in its surroundings. Thus, the child loves books with colorful pictures in them and will consume them, often ignoring the words around the photos. I recall a cartoon book I tried to check out as a child from the Westwego Library where I was a frequent visitor, always checking out the maximum number of books allowed. When the librarian, Mrs. Lawson, saw this book, she did something very strange, something she had never done before: she opened the book and scanned through the pages. She closed the book, looked at me intently for a moment, and only then did she decide to let me check out the book. I was puzzled by her actions, but only momentarily because I was delighted to get my book about the comic character Spiro home. An unanswered question remained with me for decades, until sometime in my twenties when I suddenly realized the book was about the progression of the syphilis bug as it wandered through the body doing its damage. The fun I saw Spiro having on the eyeball was really a bug causing blindness to a human being. It was all there in the words, but I never read the words, only enjoyed the fantastic voyage of a spiral-tailed character through the human body. [page 52] Altogether, during the first period of life ending with the change of teeth, pictures of all the activities being performed within its environment work on the child. Then, with the onset of the second set of teeth, the child begins to take in the actual content presented in pictorial form. And we must pour this pictorial element into everything that we approach the child with, into everything we bring to the child through language. How can a teacher use this knowledge to reach a child? Only by understanding the limitation of using words to describe things before the child reaches puberty. [page 55] If, for example, you factually describe a plant to a young child, it is like expecting the eye to understand the word red. The eye can understand only the color red, not the word. A child cannot understand an ordinary description of a plant. But as soon as you tell the child what the plant is saying and doing, there will be immediate understanding. 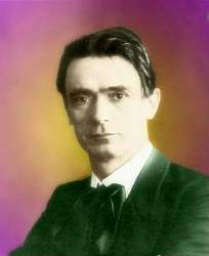 Another knowledge Steiner requires of teachers is the origin of illnesses which appear in children, and shares this with prospective teachers to prepare them for their job. [page 56, 57] Anyone who has an eye for these things knows that children's diseases look very different from adult diseases. As a rule, even the same outer symptoms in an ill child have a different origin than those in an adult, where they may appear similar, but are not necessarily the same. In children the characteristic forms of illness all stem from the head, from which they affect the remaining organism. They are caused by a kind of overstimulation of the nerve-sense system(3). This is true even in cases of children who have measles or scarlet fever. With children illnesses radiate downward from the head, whereas with adults illnesses radiate upward from the body. Steiner performs a valuable service by pointing out this important difference in pathology between children and adults. [page 57] At the change of teeth, the head has been the most perfectly molded and shaped inwardly. After this, it spreads inner forces to the remaining organism. This is why children's diseases radiate downward from the head. Because of the way these illnesses manifest, one will come to see that they are a reaction to conditions of irritation or overstimulation, particularly in the nerve-sense system. Only by realizing this will one find the correct pathology in children's illnesses. If you look at the adult you will see that illnesses radiate mainly from the abdominal-motor system — that is, from the opposite pole of the human being. Children need music elements in their education especially when they reach nine years of age. I recall being introduced to a plastic recorder about that age and blowing on it to create musical sounds. It wasn't until the age of fifteen, however, that I was given a trumpet and began learning to play music with it, probably a little late for me to master the trumpet. The solo trumpets in my high school band had been playing since they were about ten years old. I never quite caught up to their skill level, playing only second trumpet parts. [page 58] And then, between the ninth and tenth years, something truly remarkable begins to occur; the child feels a greater relationship to the musical element. The child wants to be held by music and rhythms much more than before. We may observe how the child, before the ninth and tenth years, responds to music — how the musical element lives in the child as a shaping force, and how, as a matter of course, the musical forces are active in the inner sculpting of the physical body. Indeed, if we notice how the child's affinity to music is easily expressed in eagerly performed dance-like movements — then we are bound to recognize that the child's real ability to grasp music begins to evolve between the ninth and tenth years. It becomes clearly noticeable at this time. Parents of young children today will be amazed to find that children learn best if they are not taught to read or write until about age nine, and that they are best taught to write before they learn to read. This seems backwards, but Steiner establishes a sound pedagogical reason for this practice which is followed in Waldorf schools, if not in the usual state and parochial school systems. [page 60, 61] Children, who have only recently come into the world, are suddenly expected to absorb the final results of all of the transformations that writing and reading have gone through. Even though nothing of the many stages of cultural progress that have evolved throughout the ages has yet touched the children, they are suddenly expected to deal with signs that have lost any connection between our modern age and ancient Egypt. Is it any wonder, then, if children feel out of touch? Children can deal easily with the world of numbers and simple geometric forms. But writing and reading are alien to the child's soul, and must be approached slowly and carefully by illustrating to the child how hand-drawn geometric forms of animals can take on meaning. A fish, for example, can become the script letter, f, and a person's mouth, the letter, m, and from examples like these the sounds of the letters f and m can take on a natural meaning and sound to the child. Steiner also explains how play should never be used to teach a child. Observe children at play, such as a young boy with a toy car, he is serious when he moves the car around, earnestly trying to imitate what his father does with a real car. [page 61, 62] To a healthy child, playing is in no way just a pleasurable pastime, but a completely serious activity. Play flows earnestly from a child's entire organism. If your way of teaching can capture the child's seriousness in play, you will not merely teach in a playful way — in the ordinary sense — but you will nurture the earnestness of a child's play. People who have raised children will notice how they often come home from school tired. For myself, I never came home tired from school, I enjoyed it too much. Once around age eight, when I had chicken pox and had to stay home from school, my memory of that time was standing by our backyard fence, staring at my school, wishing I was there, in class and outdoors at recess playing with my classmates. I loved the switching from sitting in class learning new things and running around outside playing tag, marbles, etc. So much of my time was involved with my rhythmic system and I didn't know until now that the human rhythmic system never gets tired! So, if your children hate school and come home from school tired, it's likely that their school is suppressing your child's rhythmic system instead of allowing the child to express themselves through their rhythmic system. [page 64] The only system prone to fatigue is the metabolic and limb system. This system does tire, and it passes its fatigue to the other systems. But I ask you, is it possible for the rhythmic system to tire? No, it must never tire, because if the heart were not tirelessly beating throughout life, without suffering fatigue, and if breathing were not continuous without becoming exhausted, we simply could not live. The rhythmic system does not tire. If we tire our pupils too much through one or another activity, it shows that, during the age under consideration — between seven and fourteen years — we have not appealed strongly enough to the rhythmic system. In Waldorf schools, the expression of the rhythmic system is not regimented into recess periods and physical education classes as most state and parochial school do. Instead the morning periods are devoted to classroom activities (which may involve the rhythmic system) and the afternoon periods are devoted to music, dance, and eurythmy, all of which engage the child's rhythmic system and allows them to leave school at the end of the day refreshed instead of tired. When given a chance to stay later at school, the children will welcome it! 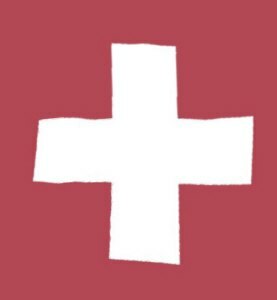 Steiner related in another set of lectures that when one teacher, new to Waldorf education, announced that one boy was being punished by being kept late to do math exercises, the other children in his class asked the teacher if they could also be kept late to do math exercises. This is the kind of school system parents would support for their children, is it not? Unfortunately, most school systems hire new teachers whose heads are full of pedagogical theories which they come to class armed with like a battle plan. They quickly discover like generals do, no battle plan survives first contact with the enemy. [page 70] This is the reason why teachers whose heads are full of pedagogical theories are usually least fit for practical classroom situations. More capable by far are those who still teach out of a certain instinct, teachers who, out of their natural love for children, are able to recognize and to meet them. Nowhere have I seen a better example of a teacher with a natural love for children than in a recent streaming movie series on NetFlix called, "When Calls the Heart." How this frontier teacher helps this deemed-uneducable teenage boy to write using letter-shaped cookies she baked, and how he then learns to read is amazing. In a later episode she gets replaced by a typical state-school teacher who focuses on discipline and rote-learning, and the difference between the two types of teaching methods is dramatically revealed. I heartily recommend the series to anyone interested in true educati on. I raised three girls and enjoyed every minute of it. They gave me an education in the "perfect doll" syndrome. The doll we gave them, they proceeded to tear all of her clothes off and even some of her limbs in the process of playing. To them the doll was raw material to use in their creative play. I never fussed at them for destroying the doll because they enjoyed what they were doing, but the unanswered question which formed in my head was only answered decades later by Rudolf Steiner when he described the deleterious effects of "perfect dolls" and how to avoid them. I had no idea that by giving my girls the "perfect doll" I was possibly stagnating my girls's soul activity! But they showed me that no one could hold down their soul activity by systematically tearing the doll into pieces they could use creatively. [page 73] Give a child a handkerchief or a piece of cloth, knot it so that a head appears above and two legs below, and you have made a doll or a kind of clown. With a few ink stains you can give it eyes, nose, and mouth, or even better, allow the child to do it, and with such a doll, you will see a healthy child have great joy. Now the child can add many other features belonging to a doll, through imagination and imitation within the soul. It is far better if you make a doll out of a linen rag than if you give the child one of those perfect dolls, possibly with highly colored cheeks and smartly dressed, a doll that even closes its eyes when put down horizontally, and so on. What are you doing if you give the child such a doll? You are preventing the unfolding of the child's own soul activity. Every time a completely finished object catches its eye, the child has to suppress an innate desire for soul activity, the unfolding of a wonderfully delicate, awakening fantasy. You thus separate children from life, because you hold them back from their own inner activity. Plants only exist when attached to elements of the Earth. The surface of the Earth from its atmosphere down to the deepest waters of the ocean contains plants. To bring a rose snipped from its bush into a class as an example of a plant does a great disservice to the child. From the beginning the child should learn that plants only exist in connection with the Earth. Pull a plant up complete with its roots and show how there is almost as much of the plant underground as above ground and the child will receive a better understanding of a plant. Plants grow on the Earth's surface like hair grows on the surface of a human's head. Even our hair has roots which extend in our head's scalp. Animals can be considered to exist because humans exist. Each animal can be found to have some feature of the human being which is salient for them: the large chest and lungs of a lion, the large stomach of the ox, the sharp eyes of the eagle, and so on. By helping children to make these connections, they will develop an understanding of how animals are derivatives of human beings, not vice versa as Darwinians would have us believe. Humans did not evolve from animals, but animals have parts of their bodies which are contained in human beings, many of which only human beings can properly use, such as our larynx. Animals can grunt, purr, whistle, and even imitate human speech, but none of them can use speech in the creative ways that humans do. Animals cannot stand erect and move rapidly on two legs while erect which any human can do. Lacking this vertical ability animals lack an individual soul. People who choose to embody their pets with souls are basically projecting their own humanness into their pets, but alas the pets remain as part of a group soul of their species to which they return upon death. Even this attribute, animals received from a previous stage of human evolution during the Old Moon period of our cosmic evolution. Waldorf teachers learn how to explain and describe animals in a way that their children come to see animals as related to humans in the way which plants are related to the Earth. Animals owe their existence to humans and plants their existence to Earth. [page 89] Take a lion, for example; there you see a one-sided development of the chest organization. Take the elephant; here the entire organization is oriented toward a lengthening of the upper lip. In the case of the giraffe, the entire organization strives toward a longer neck. If you can thus see a one-sided development of a human organic system in each animal, and survey the entire animal kingdom all the way down to the insect (one could go even further, down to the "geological" animals, though Terebratulida are not really geological animals any more) then you will realize that the entire animal kingdom is a "human being," spread out like an opened fan, and the human physical organization makes up the entire animal kingdom, folded together like a closed fan. [page 89, 90] And so the plants are linked to the Earth as if they were the hair of the Earth. The animal is linked to the human being and seen as a one-sided development of various human organic systems. It is as if human arms or legs — and in other instances, the human nose or trunk, and so on — had grown into separate existences in order to live as animals on Earth. This is how pupils can understand the animal-forms. It will enable the teacher to form lessons that are attuned to what lives in the growing human being, in the children themselves. When we are eight years old, we tend to accept things from a teacher out of love, things which we only come to understand much later around the age of thirty-five when certain regressive forces in our astral body works on us. People who think teachers should only tell things that are understandable to children miss this very important point of how these unanswered questions teachers leave in children's minds will grow to amazing understandings upon maturity. [page 108] Something arises from within, a kind of a mirror reflection that, in reality, is a return to the days of childhood. It is like the arising of an inner vision. One is thirty-five years old, has become mature, and from the depths of one's soul there comes the realization: Only now do I understand what I accepted on trust when I was eight. The worst kind of teacher is the one who has been deeply schooled in academia and uses all kinds of abstract concepts which are equivalent to describing the color red to an eight-year-old: nothing at all goes into their mind. Here is a teacher in front of the most pliable and accepting mind in the world, and instead of gently molding that mind, they hammer it with bricks! [page 109] It is really appalling when a teacher's ideas and concepts have been worked out to the degree that they are no longer adaptable or flexible. They would have an effect similar to the effect of iron gloves forced onto a child's little hands, preventing them from growing naturally. We must not chain children's minds to finished concepts, but give them concepts that can grow and expand further. We must give them living concepts that can be transformed. The astral body as it arrives around puberty brings with it the sense of love. Until that time any judgments you require a child to make will fill their etheric body with these immature judgments which are not filled with love. The effect on the child's life will be problematic. [page 112] But the ether body is not benevolent. It draws in whatever is in its way. Indeed, in this context, it is even malicious; it has a destructive effect. And this is what you do to children when you ask them to decide yes-or-no judgments prematurely, because a yes-or-no judgment is always behind the concept of causality. This destructive effect of such premature judgments was dramatically portrayed by James Dean in the famous movie, Rebel Without A Cause. He had received the judgments of his parents and other with a destructive force which plays itself out in the movie. [page 112] The final outcome of such premature judgment in children under the age of fourteen is an inner resentment toward judgments that are generally accepted by society. If the power of judging is developed too early, the judgments of others are received with a latent destructive force rather than with benevolence. These things demonstrate the importance of doing the right thing at the right time. What is the meaning of the Last Supper? This question could produce a long discussion in a book club meeting, no doubt. But, look at history: before some point during the Middle Ages, people knew deeply the meaning of the Last Supper. They felt no need for proof, and therefore never discussed the issue. "Discussion begins when knowledge ends" is a favorite dictum of Steiner. [page 115] Proof is always demanded in cases of uncertainty, but not for what the facts of life tell us directly. This is why it is so ludicrous whenever people try to find the inner connection between formal logic and reality. Logic and reality are like map and territory. Korzybski famously said, "The map is not the territory; it cannot represent all of the territory." A map can lead us to a mountain, just as logic may lead us to reality, but we must discern the difference between logic and reality. [page 115] This is somewhat like looking for the inner connection between a path leading to a mountain, and the mountain itself; the path is there to allow the wanderer to reach the mountain, and then the mountain itself begins. Logic is there only for the sake of reaching reality, and reality begins where logic ends. "What does all this mean?" Before the pupils' ninth and tenth year, teachers do best to truthfully interpret the world for them. That means they should not try to prove things to students until after they have passed this stage of life. True teachers know how to accomplish this with elan and humor and help move their pupils to a new level of learning. [page 115] When adjusting to this new situation in the classroom, one has to bring about in the pupils an unreasoned conviction that the teacher knows even more than they had previously imagined. The proper relationship between teacher and students can be established once again, perhaps while surprising the children with an amiable off-hand remark about something new and unexpected, which will make them sit up and listen; this can now happen if students feel that, until now, their teacher has not yet shown his or her true courage at all, and can truly reach unexpected heights. One has to save some things for just such moments, so that the teacher's image will continue to command respect. The solution to an important question of life lies within the students' feeling that their teacher can grow beyond even the boundaries of the personality. Here also are the comfort and strength one must give to children at this stage, so that one does not disappoint the hopeful expectations with which they come. Inwardly, such children were longing for reassurance from the one person for whom they had already developed sympathy and love. In elementary school and at home, the only colors I had available were in wax crayons and colored pencils. These colors do not mix together, but only lay over one another. What paints came into our home were paint-by-number which also discourage any mixing of colors as all the colors need to complete the painting were pre-mixed for you. I always felt the lack of creativity in coloring books and paint-by-number sets, but didn't know what to do about that. It is exactly this felt lack-of-creativity that Steiner recognized, and urged the use of liquid colors in young children. I grew up without experiencing colors living within me. [page 116] I have already told you that we allow our young children paint quite freely and naturally, out of their own formative forces — at first not with colored pencils but with liquid colors. Through this, one soon realizes how much children live within the world of colors. After a while, the young student will come gradually to experience something distant — something that draws us away into far distances — as blue. It goes without saying that the teacher must have experienced this quality of blue as well. Yellow and red seem to move toward the beholder. Children can already experience this in a very concrete way during the seventh or eighth year, unless they have been plagued with fixed tasks in drawing or painting. I can remember being given a house or a tree or a flower to color with my crayons and it seemed foolish to me to do so. What was the point? Even as a seven-year-old that feeling of meaningless came to me as I followed the instructions reluctantly, hoping someone would enlighten me as to the real meaning of colors, but they never did. Want your children to experience colors inwardly? Enrol them in a Waldorf school, and they will. [page 116] Of course, if you force children to copy houses or trees representationally, this color experience will soon be lost. But if one guides children so they can feel: Wherever I move my hand, there the color follows — then the type of material used is of secondary importance. Or: The color really begins to live under my fingers — it wants to spread a little further. Whenever such feelings can be drawn out in children's souls, one enables them to discover something fundamental and significant — that is, color perspective. A child will feel that the reddening yellow comes towards us, and that mauve-blue takes us further away. Clearly, I never understood color perspective, and learned linear perspective only with great difficulty and not very well much later in life. We must learn the color perspective first, Steiner says, and I can vouch for that necessity in my own feeble attempts at art later in life. [page 116, 117] This is how one can livingly prepare the ground for something that must be introduced at a later stage — linear perspective; it is very harmful to teach this subject before students have had an intensive experience of color perspective. To teach them quantitative perspective without their first having inwardly absorbed qualitative perspective — which is inherent in the experience of color — has the thoroughly harmful effect of making them superficial. When students are in a classroom, they learn on two levels, content and process. The content of a subject is what is usually tested for and it puts a demand on the memory of the students. The process is a learned capability which is rarely tested for except in tasks requiring physical dexterity like dance, typing, and sports. But, of the two levels, what a child learns at the process level is far more important and a skewed focus on content can interfere with the learning of capabilities (process). Painting is a capability and people who ask why teach a child to paint if they will never use that ability in life, well, they miss the point completely. Only the child (deep in its soul) knows what will be useful later in life, so providing a full-range of activities will help the child reach its full potential. [page 117, 118] Just as the expression "You can't understand this" should never be used when talking to children, so also there should never be a skeptical attitude among adults concerning what a child needs or does not need. These needs should be recognized as flowing from the human constitution itself; and if they are, one will respond with the right instinct. One will not worry unduly, either, if a child forgets some of what has already been learned, because knowledge is transmuted into capacities, and these are truly important later in life. Such capacities will not develop if you overload a child with knowledge. It is essential to realize — and actually practice — that one should impress in the student's memory only what is demanded by social life, that there is no purpose in overburdening the student's memory. In Lecture Five, someone asked this question: Is there not an element of dishonesty in asking a child a question if one knows the answer? (Page 121) This question was interesting to me because often I will ask my wife a question and she gets upset if she thinks I already know the answer. As I pondered over why she would react that way to my question, I came to realize that as the oldest child in my family, I would often ask my younger brothers a question to which I knew the answer. I thought of it as a way of enlightening them, but now I suspect it was a way of showing off my knowledge and they likely also resented the question. Steiner's answer to this question offered me a better way of sharing something without demeaning the other person: I ask the question and am interested in how the other person feels and thinks about the subject, something that I truthfully cannot know in advance of asking the question. [page 122] It does make a great difference, after all, whether I ask the child a question, for example, about the Battle of Zabern, and I know the answer but the child does not, or whether I know the answer and the child also knows it. The untruth would be in asking something I already know. But I could also have a different attitude — that is, I am interested in how the child answers the question. I may phrase my question to find out what the child feels and thinks about a particular point. In this case I don't know in advance what the child will say. The child's answer could have many different shades or nuances. In Lecture Six and Seven, Steiner covers the Will to Gratitude, the Will to Love, and the Will to Duty. He describes how during the time before teeth change gratitude or thankfulness flows from a child towards its parents, caregivers, and teachers, if the child is treated properly. This gratitude flows into the growing forces within the physical body of the child. [page 125] We only have to act in ways that are worthy of the child's gratitude and it will flow toward us, especially during the first period of life. This gratitude then develops further by flowing into the forces of growth that make the limbs grow, and that alter even the chemical composition of the blood and other bodily fluids. This gratitude lives in the physical body and must dwell in it, since it would not otherwise be anchored deeply enough. [page 125] It would be very incorrect to remind children constantly to be thankful for whatever comes from their surroundings. On the contrary, an atmosphere of gratitude should grow naturally in children through merely witnessing the gratitude that their elders feel as they receive what is freely given by their fellow human beings, and in how they express their gratitude. In this situation, one would also cultivate the habit of feeling grateful by allowing the child to imitate what is done in the surroundings. If a child says "thank you" very naturally — not in response to the urging of others, but simply by imitation — something has been done that will greatly benefit the child's whole life. Out of this an all-embracing gratitude will develop toward the whole world. How might one plant gratitude into the soul of a child? By showing it in front of the child, spontaneously, and allowing the child to imitate your spontaneous way of showing it in its own unique way. Gratitude is like a seed planted in the soul from whose roots a plant rises into the world showing a love of God. [page 126, 127] Love, born out of the experience of gratitude during the first period of the child's life, is the love of God. One should realize that, just as one has to dig the roots of a plant into the soil in order to receive its blossom later on, one also has to plant gratitude into the soul of the child, because it is the root of the love of God. The love of God will develop out of universal gratitude, as the blossom develops from the root. Note how in this next passage Steiner urges us to avoid the Be Spontaneous Paradox in our demands by saying such demands are never converted into action. People who attempt to foist their type of faux goodness on others are often called "Goody-Two-Shoes" and their demands are ignored. [page 127] We should attend to these things, because in the abstract we usually know very well how they should be. In actual life situations, however, all too often these things turn out to be very different. It is easy enough, in theory, to say that people should carry the love of God within themselves — and this could not be more correct. But such demands, made abstractly, have a peculiar habit of never seeing the light of day in practice. The fairy tale of Sleeping Beauty involves a woman awaked by a Prince and falling in love. This is an abstract, but appropriate metaphor if we consider that when we awaken in the morning, we remain for some time in the region of the soul before we are fully awake. Because the process of falling in love is really an awakening into love as Steiner says in this passage: gratitude grows, but love awakens. The way love develops in the human soul is different from the way gratitude does. Gratitude has to grow with the growing human being, and this is why it has to be planted when the child's growing forces are at their strongest. Love, on the other hand, has to awaken. The development of love really does resemble the process of awakening, and, like awakening, it has to remain more in the region of the soul. The gradual emergence of love is a slow awakening, until the final stage of this process has been reached. A friend told me that in her high school chemistry class, the football players dealt with the unpalatable outpouring of unknown phrases by answering every question the teacher asked with a standard response, "Copper Sulfate, Prof!" They avoided the sour, acid feeling produced in their stomachs by the dull lectures by saying something that sounded chemical and yet elicited a relieving belly laugh at the same time! Steiner explains the importance of "soul-breathing" and says that often physics and chemistry teachers mostly do "out-breathing" and this type of breathing creates acidity in students. [page 131] At just this time of life [high school] the teacher must remember the need for a certain "soul-breathing" in the lessons, which communicates itself to the pupils in a very strange way — soul-breathing must be allowed for. Ordinary breathing consists of inhaling and exhaling. In most cases, or at least on many occasions, teachers, in their physics and geometry lessons, only breathe out with their souls. They do not breathe in, and the out-breath is what produces this acidity. I am referring to the out-breathing of soul expressed in dull and monotonous descriptions, which infuses all content with the added seriousness of inflated proportion. Perhaps "mouth-breathers," which has become a common expression for a dull or dumb person, is another name for a person who does mostly out-breathing of soul, rarely ever taking an in-breath of soul from the people charged with listening to them. One can spot teacher who do in-breathing of soul because they respond to the expressed or un-expressed wishes of the classroom, often with humor, and always with interesting things to share. The best professor of this type was Professor Michael Paulsen, and it was a joy for me to sit in his post-graduate UNO classes. In the Final Paper I wrote for his course in College Teaching, I described how learning could be carried from the soul of the teacher directly into the soul of the students on the wings of words(5). In it I cover how lesson plans are essential for communicating effectively with students. One uses the lesson plan to create in one's thoughts and images the essence of the material being covered and those thoughts and images fly soul-to-soul over to the students. When one operates on that soul level, the communication goes both ways and one receives questions and concerns in one's soul from the students and can answer those concerns seamlessly without interrupting to ask if anyone has a question. [page 131, 132] If teachers could feel at home in their subjects to the degree that they were entirely free of having to chew over their content while presenting lessons, then they might find themselves in a position where even reflected light is likely to crack a joke, or where a spherical skullcap might calculate its surface area with a winning smile. Of course, jokes should not be planned ahead, nor should they be forced on the classroom situation. Everything should be tinted with spontaneous humor, which is inherent within the content, and not artificially grafted onto it. This is the core of the matter. Humor has to be found in things themselves and, above all, it should not even be necessary to search for it. At best, teachers who have prepared their lessons properly need to bring a certain order and discipline into the ideas that will come to them while teaching, for this is what happens if one is well prepared. The opposite is equally possible, however, if one has not prepared the lessons adequately; one will feel deprived of ideas because one still has to wrestle with the lesson content. This spoils a healthy out-breathing of soul and shuts out the humor-filled air it needs. Only if a teacher does an in-breathing of soul will the individualities of their students emerge, and the teachers will come to recognize that the students were using them as tools in their education. This is an amazing insight that Steiner provides for how true teachers reach their students. [page 140, 141] When, to their everlasting surprise, teachers witness time and again how the child's individuality is gradually emerging, they have to realize that they themselves have been only a tool. Without this attitude, sparked by this realization, one can hardly be a proper teacher; for in classes one is faced with the most varied types of individuals, and it would never do to stand in the classroom with the feeling that all of one's students should become copies of oneself. Such a sentiment should never arise — and why not? Because it could very well happen that, if one is fortunate enough, among the pupils there might be three or four budding geniuses, very distinct from the dull ones, about whom we will have more to say later. All education is a Do-It-Yourself job, rightly understood, and no one can read his Waldorf education lectures and not realize that Steiner understood that reality. [page 141] Surely you will acknowledge that it is not possible to select only geniuses for the teaching profession, that it is certain that teachers are not endowed with the genius that some of their students will display in later life. Yet teachers must be able to educate not only pupils of their own capacity, but also those who, with their exceptional brightness, will far outshine them. However, teachers will be able to do this only if they get out of the habit of hoping to make their pupils into what they themselves are. If they can make a firm resolve to stand in the school as selflessly as possible, to obliterate not only their own sympathies and antipathies, but also their personal ambitions, in order to dedicate themselves to whatever comes from the students, then they will properly educate potential geniuses as well as the less-bright pupils. Only such an attitude will lead to the realization that all education is, fundamentally, a matter of self-education. What a teacher should strive for is that their students integrate themselves into society and find Goethe's dictum at play in their souls: "Duty is a love for what one demands of oneself." I doubt anyone has ever expressed this thought better. It is duty which drives me to write these reviews, something which I love doing. No one taught me that directly, but it is something I garnered from every good teacher I spent time with. I owe them a lot of gratitude and love for helping me find this duty. This brings us to the Will to Duty which I promised you earlier. [page 152] Remember what I said yesterday: by the time puberty is passed, the adolescent should have been helped toward developing sufficient maturity and inner strength to enter the realm of human freedom. I referred to the two fundamental virtues: gratitude, for which the ground has to be prepared before the change of teeth, and the ability to love, for which the ground needs to be prepared between the change of teeth and puberty; this was the theme developed yesterday. Furthermore, we have seen that, with regard to the ethical life, the soul life of the child must also experience feelings of sympathy and antipathy toward what is good and evil. If one approaches a student at this age with a "thou shalt" attitude, proper development will be hindered in the years to come. On the other hand, when one instead moves the pre-adolescent child, through natural authority, to love the good and hate the evil, then during the time of sexual maturity, from the inner being of the adolescent, the third fundamental virtue develops, which is the sense of duty. It is impossible to drill it into young people. It can only unfold as a part of natural development, based only on gratitude — in the sense described yesterday — and on the ability to love. If these two virtues have been developed properly, with sexual maturity the sense of duty will emerge, the experience of which is an essential part of life. When I wrote my first books, I created the books already typeset by my computer, printed them out double-sided, and took them to a bookbinder to be bound in hardback form. Through working with a bookbinder, I learned how he bound my books for me and I later acquired some tools by which I could bind books on my own. I have often written about all the things my dad made with his own hands, but he never once bound books. Yet it is still true that I learned how to do things for myself from Dad, and thus I felt able to bind my own books. Steiner reveals in this next passage that learning bookbinding was important to him, and he deems similar kinds of craft work important in Waldorf education. [page 159] From personal self-knowledge I can tell you in all modesty that I could not have accomplished in spiritual science certain things that proved possible, if I had not learned bookbinding at a particular time in my life — which may seem somewhat useless to many people.
. . . The important thing in this case is not that a pupil makes a particular cardboard box or binds a book, but that the students have gone through the necessary discipline to make such items, and that they have experienced the inherent feelings and thought processes that go with them. Anyone who asks, "On which pedagogical theories is Waldorf education based?" deserves a complete response. In one word, the answer is "None." Theories mostly lead to biases, Steiner says below, and he clearly feels biases have no place in education. Biases are maps, abstract logical maps which cannot predict how an individual child will best learn. Only a true teacher on the spot, face-to-face to the child, can determine that. [page 160 italics added] There are educational methods in the world, the clever ideas of downright impractical theoreticians, who believe they have eaten practical life experience by the spoonful, methods that are nevertheless completely removed from reality. If one begins with theories of education, one will end up with the least practical results. Theories in themselves yield nothing useful, and too often breed only biases. A realistic pedagogy, on the other hand, is the offspring of true knowledge of the human being. And the part played by arts and crafts at a certain time of life is nothing but such knowledge applied to a particular situation. In itself this knowledge already presents a form of pedagogy that will turn into the right kind of practical teaching through the living way in which the actual lessons are given. It becomes transformed into the teacher's right attitude, and this is what really matters. The nature and character of the entire school has to be in tune with it. A real school should have a soul, and Steiner designed Waldorf schools to have a mechanism for creating the soul of the school. The mechanism he chose was regular staff meetings, but with a crucial difference from non-Waldorf schools. [page 160, 161] And so, in the educational system cultivated in the Waldorf school, the center of gravity is within the staff of teachers and their regular meetings, because the whole school is intended as one living and spirit-permeated organism. The first grade teacher is therefore expected to follow with real interest not only what the physics teacher is teaching to the seventh grade, but also the physics teacher's experiences of the various students in that class. This all flows together in the staff meetings, where practical advice and counseling, based on actual teaching experience, are freely given and received. Through the teaching staff a real attempt is made to create a kind of soul for the entire school organism. "How could what goes on in the sixth grade interest a first grade teacher?" You may be wondering something like that. Steiner explains the very practical aspects of the staff meetings. [page 161] And so the first grade teacher will know that the sixth grade teacher has a child who is retarded in one way or another, or another who may be especially gifted. Such common interest and shared knowledge have a fructifying influence. The entire teaching body, being thus united, will experience the whole school as a unity. Then a common enthusiasm will pervade the school, but also a willingness to share in all its sorrows and worries. Then the entire teaching staff will carry whatever has to be carried, especially with regard to moral and religious issues, but also in matters of a more cognitive nature. "I cannot send my child to a school which teaches the foggy mysticism of anthroposophy," someone might say. And yet that person may have no qualms to sending a child to a school who teaches a foggy materialism which cannot even understand the true nature of matter. [page 163, italics added] I have already said that the tragedy of materialism is its inability to understand the true nature of matter. Knowledge of spirit leads to true understanding of matter. Materialism may speak of matter, but it does not penetrate to the inner structures of the forces that work through matter. Similarly, pedagogy that observes only external phenomena does not penetrate to the regions of the human being that reveal what should be done about practical life. This causes a situation that, to the spiritual investigator, is very natural, but would appear paradoxical for many people. They wonder why a pedagogy grown from anthroposophy always emphasizes the necessity of training children at specific ages in certain practical activities — that is, the necessity of training them in the correct handling of material processes. Far from leading students into a foggy mysticism, the principles and methods of the education based on anthroposophical research will not estrange them from life. On the contrary, it will induce spirit and soul substance to penetrate their physical bodies, thus making them useful for this earthly life, and at the same time, provide them with the proper conditions to develop inner certainty. True teachers can find inspiration in Gospels for many areas: in Luke for healing, in John for idealism, in Mark for courage, and in Matthew for maturation. Yes, many of you Good Readers would find it strange to consider that once the Gospel of Luke "was felt to radiate a healing element in a medical sense." Perhaps not, if you are a Waldorf teacher and have learned to understand healing in a pedagogical sense. [page 176] Certain experiences of old, no longer known to the modern mind, will then begin to stir in one's soul, experiences deeply rooted in human evolution, in the Christian development of humankind. For example, teachers who in the depths of their souls are seeking the proper stimulation for finding appropriate forms of pedagogy (especially in these pathological-physiological areas) would do well to allow themselves to be inspired, time and again, by what radiates from the Gospel of Saint Luke. (To modern ears such a statement must sound bizarre.) On the other hand, teachers who want to instill the necessary idealism for life in their students, would do well to find a source of inspiration by reading again and again the Gospel of Saint John. If teachers do not want their pupils to grow up into cowards, but into the kind of people who will tackle life's tasks with exuberant energy, they should look for inspiration in the Gospel of Saint Mark. And those who are enthusiastic to educate the young to grow into perceptive adults, rather than into people who go through life with unseeing eyes, may find the necessary stimulation in the Gospel of Saint Matthew. These are the qualities that, in ancient times, were felt to live in the different Gospels. Education is a lifetime job, a Do-It-Yourself project that can fill a lifetime, rightly understood. Those adults who have grown in years, but stagnated in knowledge, remain childish, and even children will object when they are urged to respect those adults who act like overgrown children. [page 179, 180] The expression "overgrown kids" is really chosen with great ingenuity, for it implies that such persons lost the ability to get hold of their entire organism during the course of their lives. They can work only with the head, which is precisely what children or young people are meant to do. So the young respond by saying, "Why should we learn from them? They are no further along than we are; they are just as childish as we are." The point is not that old age lacks youthfulness, but that it has remained behind, is too infantile, and this causes difficulties today. In his famous book, How To Read A Book, Mortimer Adler focuses on four levels of reading, the highest level being syntopical reading where you read multiple books on a similar topic so that each book reflects on and enriches the other books and provides the multiple interconnections to enrich you as well. Mathematical studies provide obvious progressions of growth in understanding, but in good reading there is no such progression, only a wider casting of one's net for knowledge. [page 182] Mathematics is built on purely causal sequences, so it is possible to understand earlier stages without any knowledge of subsequent stages. But when it comes to teaching in a living way, its subject is affected by mutual interconnections, so that what was given at an earlier date may receive further elucidation by what was presented later. I mention this because it is all part of the living spirit that has to permeate the Waldorf way of teaching. [page 182] As a Waldorf teacher, one has to be conscious of the necessity for continually widening and deepening one's knowledge, rather than feeling satisfied with one's achievements and, indeed, considering oneself very clever. If one has lived into the Waldorf way of teaching, such delusions are soon overcome! For a real Waldorf teacher, everything that flows from this activity must be permeated with true heart and soul forces. Parrots, mynah birds and other animals can imitate human speech, but find me one parrot that can say, "Polly wants a cracker" who never encountered a human being. See further information on doyles and the science of doyletics here: http://www.doyletics.com/. This overstimulation of the nerve-sense system may be a remnant in the child of the human being's condition before the First Sacrifice of Christ in early human times moderated the human nervous system. For details, see Christ and the Spiritual World. I learned about the Be Spontaneous Paradox from Paul Watzlawick in his droll and insightful book, The Situation Is Hopeless, But Not Serious. 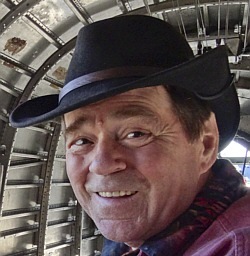 You can read about this soul learning process here: http://www.doyletics.com/arj/tandlrvw.shtml#live_lecture. See Matherne's Rule #29 for details on this dictum.